This entry was posted on September 5, 2014. Bookmark the permalink. I always count it a privilege to be invited to be part of one of the most special moments in a couple’s life when I am asked to create and conduct their wedding ceremony — but this one has become special in an entirely new way: Sonika and Greg’s Siesta Key wedding under a huge arbor of sea grapes is featured as an Inspiring Florida Wedding in the Knot Florida magazine’s 2014 fall/winter edition. I was honored to perform the ceremony for this beautiful couple. After decades of working with hundreds of brides and grooms from all over the country I’ve acquired a sixth sense about what’s happening in their minds and hearts. But even I couldn’t have pegged everything these two were feeling. 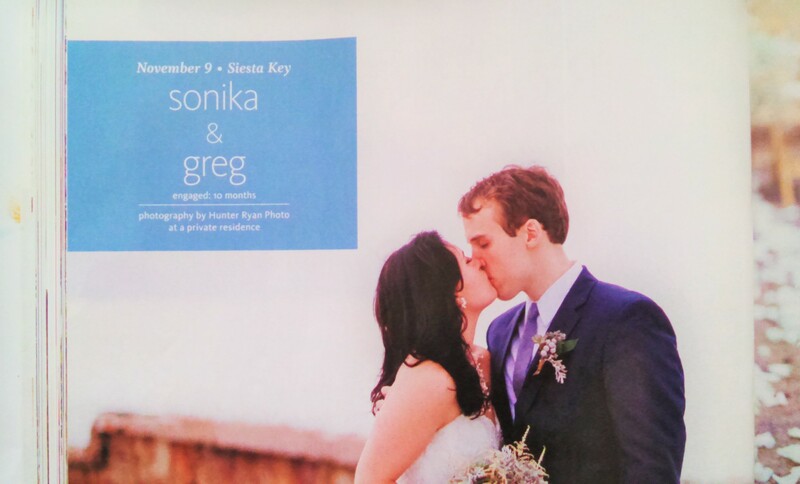 Sonika and Greg were locked in each other’s gaze, at the moment they exchanged their vows. See for yourself the joy that was exquisitely captured by Tiffany and Cody of Hunter Ryan Photo, based in Fort Myers, FL. 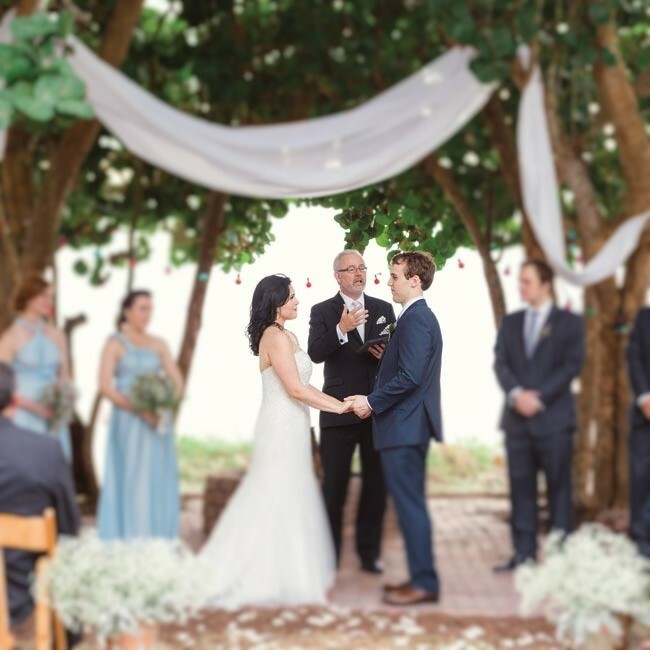 Months after Sonika’s wedding, I was completely surprised when a bride — one of two sisters whose weddings I am creating and performing — wrote and told me “Michael, you’re famous!” I had no idea what she was talking about. 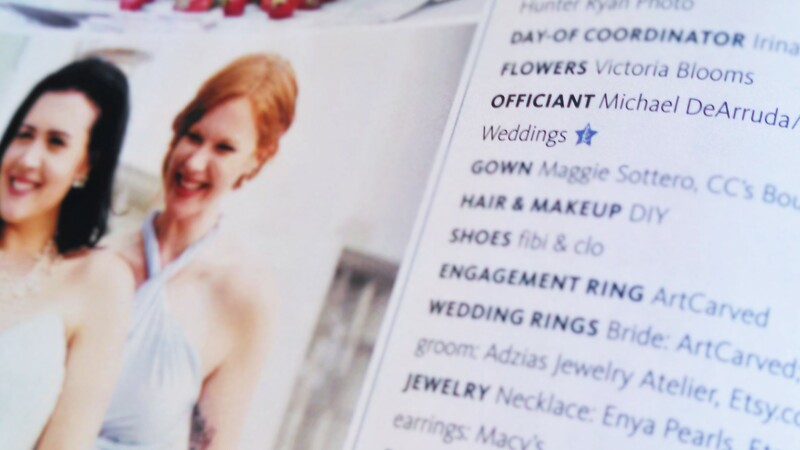 “My sister and I were going through the recent Knot magazine, and we spotted you under the tree.” A few days later, Jackie handed me a copy of the magazine at her own wedding rehearsal. 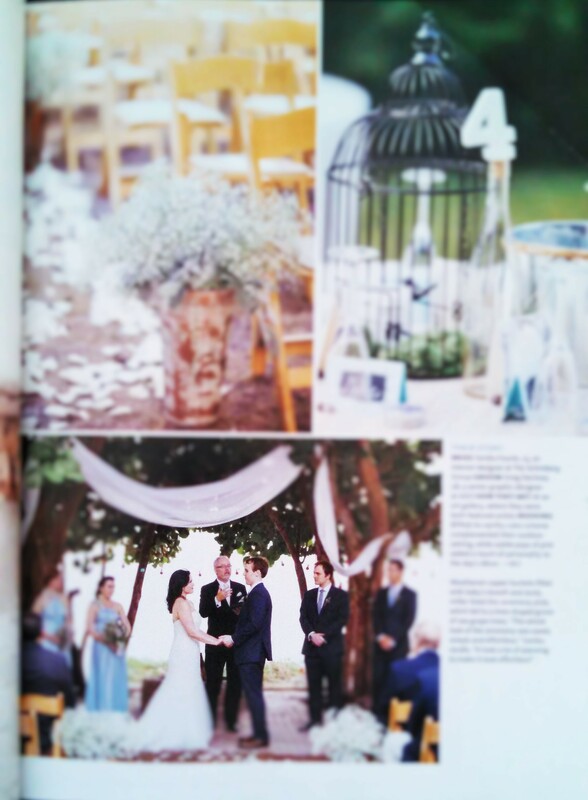 What’s more, this issue of the Knot Florida magazine includes DeArruda Weddings in its annual “Best of Weddings” listing, in which vendors are selected on the basis of bride reviews. Whether your wedding day is featured in a national magazine or not you will be able to share Sonika’s sentiments because there is nothing more important to me about your special day than the two of you and your ceremony. 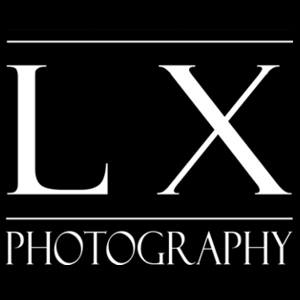 Contact me today for your free consultation.